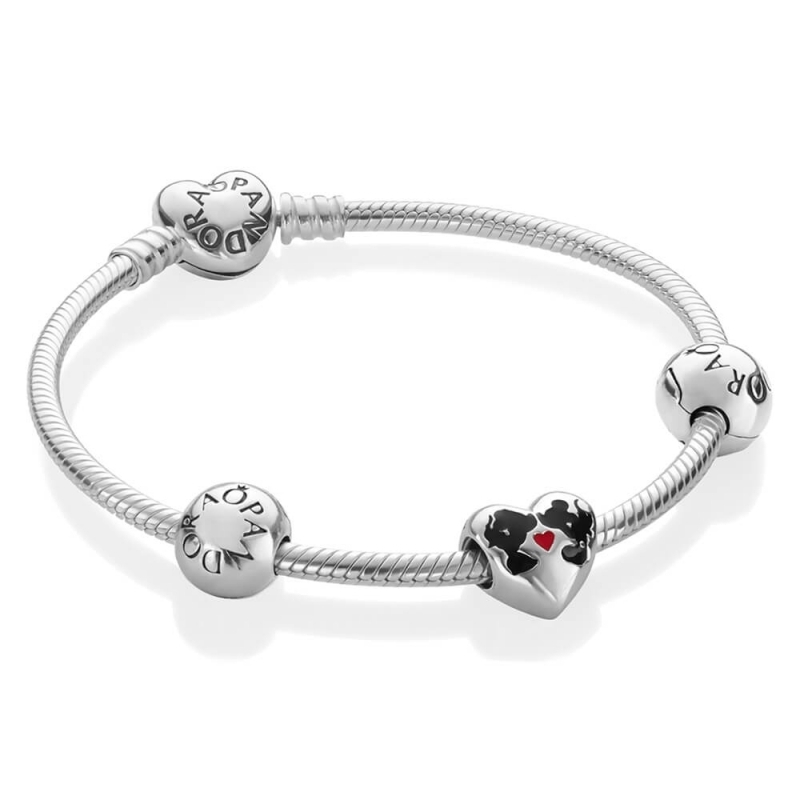 PANDORA Disney - Minnie and Mickey Kiss Bracelet. Celebrate love that lasts a lifetime with this fabulous Minnie and Mickey kiss bracelet. The perfect starter bracelet for any Disney fanatic, it includes the stunning Mikey and Minnie kiss charm and two sterling silver logo clips.